The Human Technology Award was created to promote and accelerate technological breakthroughs that improve the human condition. Award-winning technologies were selected through multi-faceted evaluation of their social impact and values. Created as a means to combat the problem of “fake news,” SNU FactCheck is non-political, non-profit public information service that provides the public with news that has been vetted and verified by participating media companies. 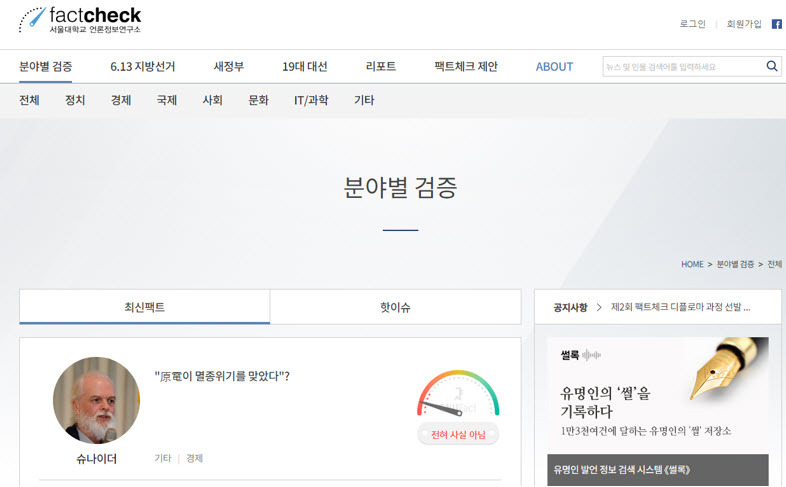 Launched in 2015, SNU FactCheck is the first of its kind in Korea. “It is important for the public to understand why one institution decides a claim is true and another institution might decide it’s false,” Chong explained.